The brooch is worked with bamboo and flowers and mounted with a cylindrical jadeite disc. 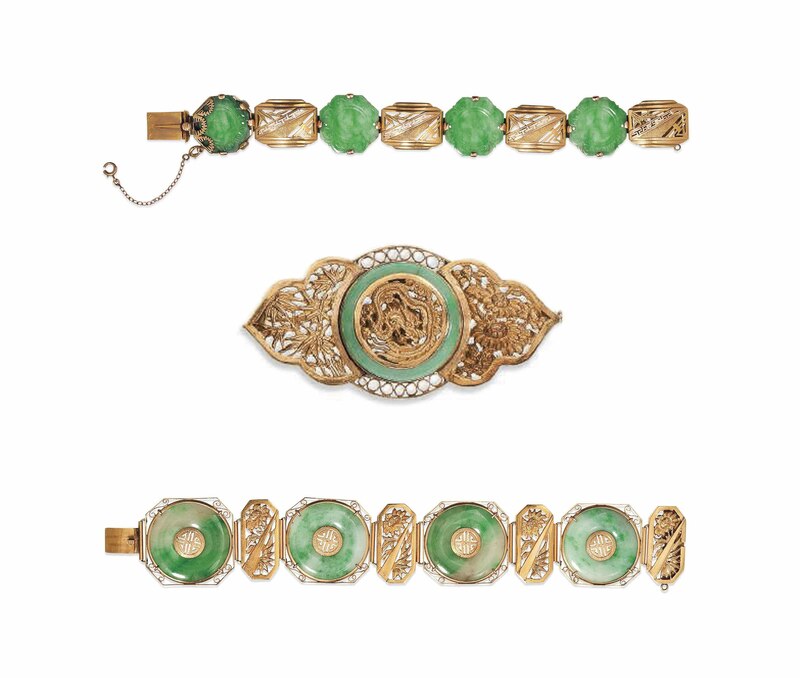 One bracelet comprises four jadeite flower heads with rectangular gold links and the other with four cylindrical jadeite discs with octagonal gold links. Purchased in France, prior to 1985.